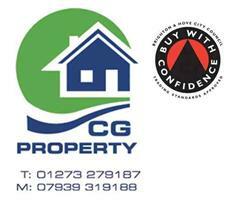 CG Property is a Sussex based company trading for over 5 years, mainly working in the Brighton, Hove and Shoreham area. We are able to provide any building or property maintenance requirement. No matter the size of the job we always provide exceptionally clear written quotations and quality workmanship with a keen eye for detail. Our build team has worked together for several years and are always courteous, polite and skilled trade professionals. We are long term members of Checkatrade, Trading standards and are fully insured, so no matter what the enquiry please get in touch for a free no obligation quote. We have installed many bathrooms and only use Part P registered electricians, Gas Safe qualified plumbers and expert tilers to give you a quality job every time. We are happy to advise on structural alterations, change of layout and lighting to give you the maximum comfort and relaxation possible within the space and budget available. From a side return to a full width extension across the back of the house we can help add additional space to your home. We will always consult with you during the design process and will ask for your input in terms of layout, finishes, lighting and most importantly the overall way you want to live in the space. All works are undertaken to the highest structural standards with a strong focus on the final build quality. The kitchen is the heart of the home, we are aware of how important it is in day to day life both as a working and social space. From initial design to final finishes we are happy to advise and suggest ideas at any stage. We can always supply a temporary working kitchen and will undertake to get the work done as quickly as possible to minimise the disruption to your life. Our extensive experience of lofts means we are always able to help; from a simple room in the roof, a hip to gable roof conversion to a double dormer both front and back we have the experience required. We always build the new roof over the old before opening up the loft, virtually removing the chance of any water damage to your property. Our dedicated team of trade professionals will complete the works efficiently and cleanly, waiting until the last minute to open up into the 1st floor thereby minimising the mess and interference with your home life. We are happy to tailor our work to any stage you require from just the major construction work, 2nd fix, painting through to the complete job. We cut our teeth on small maintenance jobs and know how important it is to fix those minor problems in your property before they become a major issue. We are happy to supply a written quote down to a single hour and always arrive on the day and time stated. With many successful renovations behind us we can undertake as much or as little as you need. We always consider the overall design and character of the home whilst improving the quality of your lifestyle. We can supply all of the necessary trades, project management and an interior designer required to fully realise your vision and improvements. Need a wall knocked through, a doorway moved or a partition built. We are happy to help with any small scale works you may require.